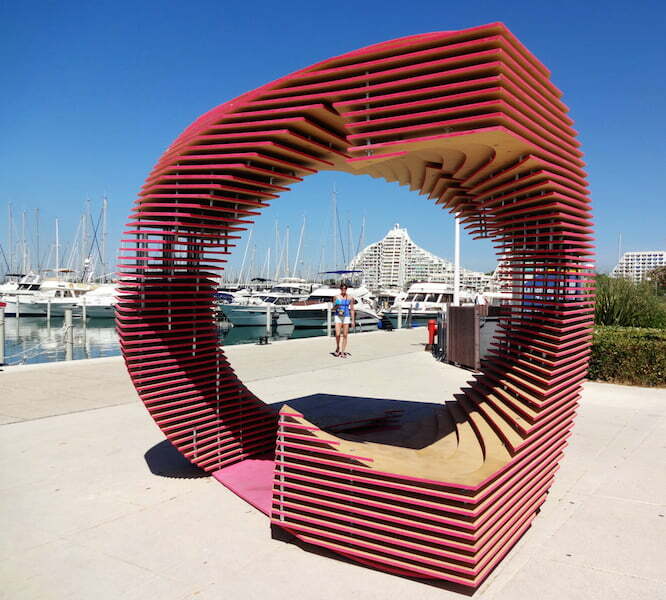 The Festival des Architectures Vives each June in Montpellier, France, features the work of young architects, landscape architects and urban planners displayed throughout the Montpellier and nearby La Grande Motte. Of the 20 works on display in the FAV 2015 10th Edition, some were in open, public spaces, while others were tucked away inside usually private courtyard spaces, waiting to be discovered. The installations are split into two groups – one in the town of Montpellier itself, and the other in the nearby seaside resort of La Grande Motte. All the installations are ephemeral and, when removed, leave behind no trace on their surrounding architecture. In Montpellier many of the sites are old buildings, creating a dialogue between contemporary work and heritage. At La Grande Motte, the works use the resort locations of seaside promenade and still water, set against the background of hundreds of boats and the unique pyramidal buildings designed by Jean Balladur. At each site, students at the School of Architecture of Montpellier discuss and interpret the installations for visitors and encourage interaction with the works. The public prize for the Festival des Architectures Vives 2015 in Montpellier was awarded to ‘Goldfish‘, and the jury prize to ‘Un dixième printemps‘. For La Grand Motte, ‘The Porthole‘ by TOMA! received both the public and jury prizes. 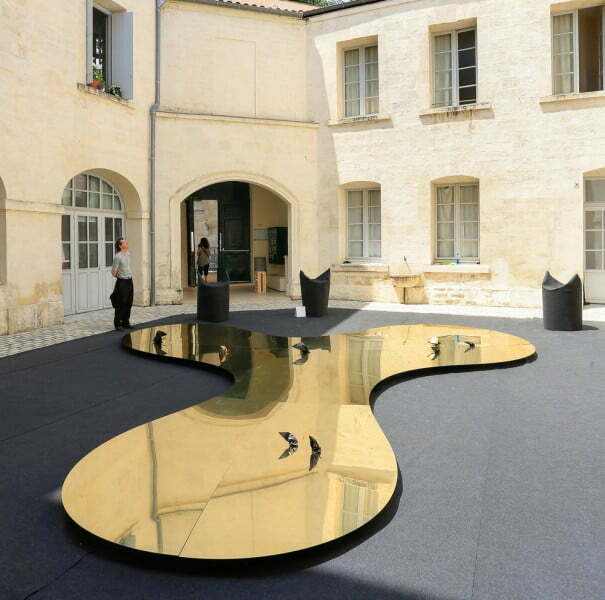 The Festival des Architectures Vives is organised by Champ Libre, chaired by Elodie Nourrigat and Jacques Brion, architects in Montpellier, and is held during the last week in June.